Against a clouded, darkening sky, military helicopters fly and a soldier stands ready to face the next trial. The US Army Strong Helicopter T-Shirt displays this striking image with high detail in its large, realistic back graphic. 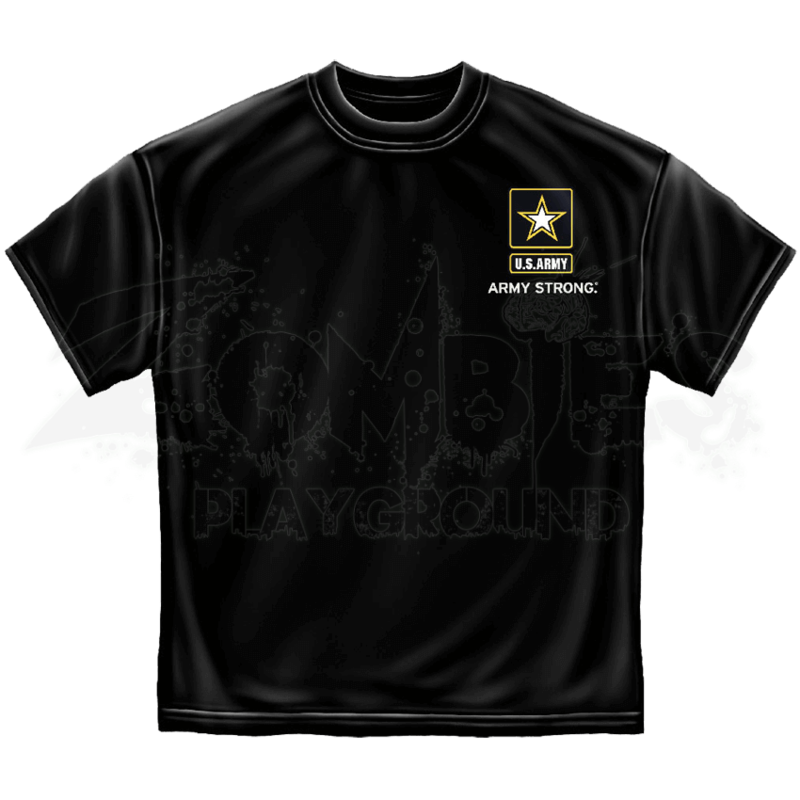 Printed on a black t-shirt made of 100 percent pre-shrunk cotton, the words ARMY STRONG appear below the back graphic and on the front of the shirt, underneath a yellow US Army star logo. 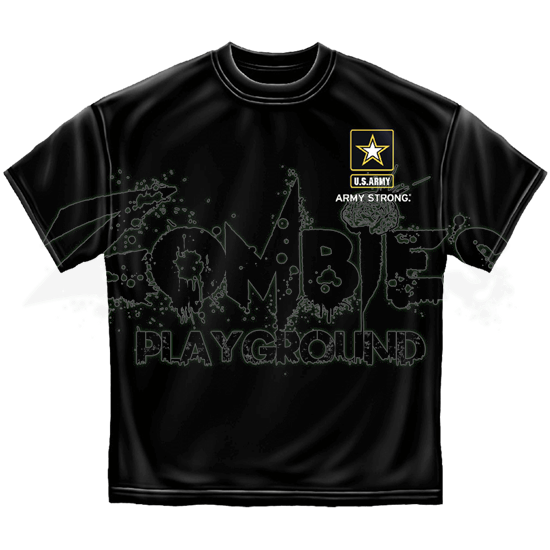 Made of heavyweight cotton, this patriotic t-shirt is a fantastic way to show support for members of the military any day. Gift it to loved ones who serve or add it to your own wardrobe to remember those who defend the freedom of America.